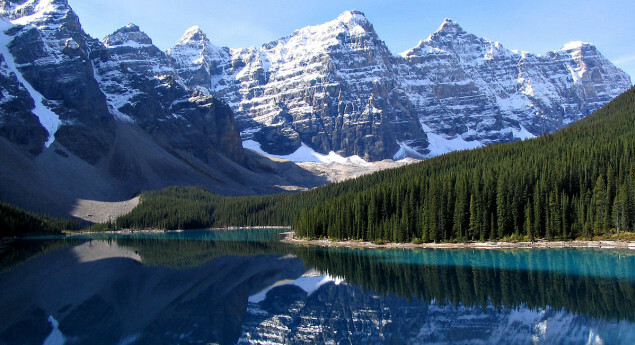 Banff National Park is Canada's oldest national park, established in 1885 in the Rocky Mountains. 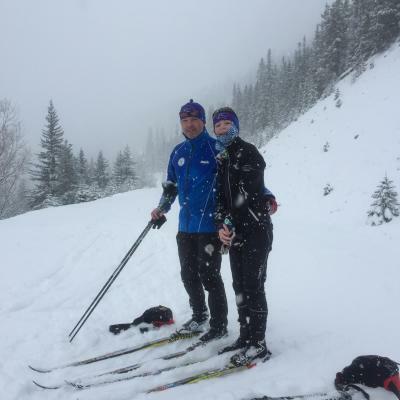 The park, located 110–180 km (68–112 mi) west of Calgary in the province of Alberta, encompasses 6,641 km2 (2,564 sq mi) of mountainous terrain, with numerous glaciers and ice fields, dense coniferous forest, and alpine landscapes. The Icefields Parkway extends from Lake Louise, connecting to Jasper National Park in the north. 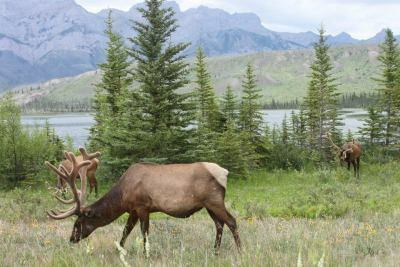 Provincial forests and Yoho National Park are neighbours to the west, while Kootenay National Park is located to the south and Kananaskis Country to the southeast. The main commercial centre of the park is the town of Banff, in the Bow River valley. Photo Credit: Released in Wikimedia Commons under PD by author. 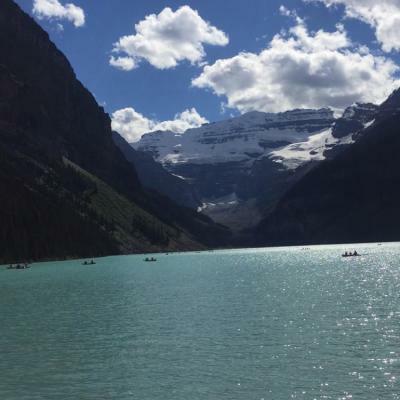 Banff is definitely worth the visit for anybody wondering where to head next! Make sure to check out the Lake Agnes Tea House as well, its worth the hike. Even if there are thousands of tourists, the moment you immerse yourself into the nature of Banff- everything becomes so silent. It is a place every Canadian should experience. Almost every year my family and I visit the breathtaking views of Banff. The whole atmosphere of the town is like a breath of fresh air. 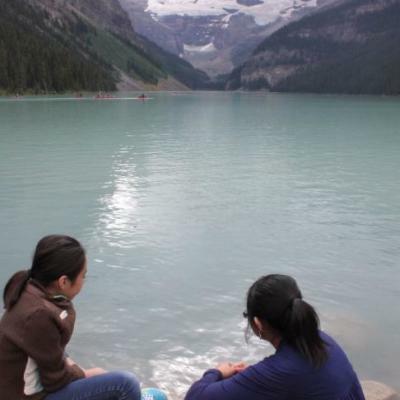 The wildlife and soaring mountains grace the landscape, and not to mention the pristine Lake Louise. The lake is not only a popular attraction, but it serves as a reminder of the beautiful views our vast land of Canada has to offer. Canoeing in the lake was a serene and mesmerizing experience, and during the wintertime it transforms into a frosty wonderland where people can enjoy and skate on the frozen lake. You can find a moose right outside your window... your car window to be exact. Want to see a moose up close with a good amount of distance between the both of you? Take a road trip to Alberta just like what my family and I did. I captured this beautiful picture of the amazing moose and it is not something you see everyday, I may live in Canada but these animals do not roam in the cities, don't be crazy. Canada's animals live in a beautiful environment and I was able to capture a memorable moment! 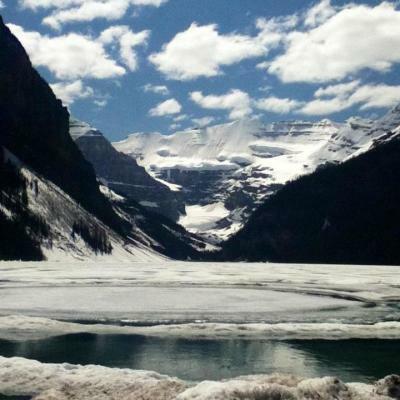 Is Banff National Park Canada's oldest national park? Photo: Released in Wikimedia Commons under PD by author.